The Creative Director (Design) is responsible for ensuring that Dig Inns visual expression is cohesively & compellingly communicated across brand touchpoints as varied as packaging design, out-of-home campaigns, branded internal swag, & in-restaurant experiences. 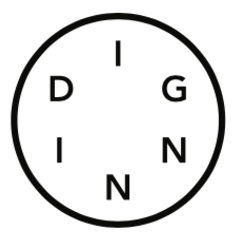 Sitting within the Marketing & Creative team, & collaborating closely with our Content Director & Head of Retail Experience, the Creative Director will help bring Dig Inns visual story to life. Dig Innis a farm-to-table food company with over 20 locations in New York & the Northeast, serving seasonal vegetables & culinary comfort food on an urban scale. The company is built on a culture of driven curiosity & ambitious innovation, finding & implementing new solutions to offering a simple, healthy, affordable meal. Our mission is to build a better food system (one vegetable at a time) that offers a better deal to customers, cooks, & farmers alike. Since getting started in 2011, we have focused on the essentials of our missionbuilding kitchens, training chefs, & developing one-on-one relationships with over 50 partner farms. The next few years will be a period of expansion, as we open in new cities & use the platform weve built for a better conversation around sourcing, cooking, & the business of food.And did we mention free Dig Inn for all employees? We strongly recommend the sweet potatoes.